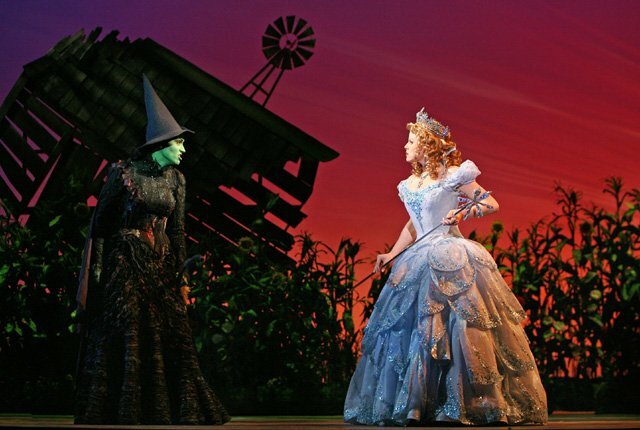 As I mentioned in my previous blog post we went to see Wicked on Saturday night at the Orpheum Theatre. The Safeway Employees’ Association (SEA) was one of the group sponsors that night so there were a bunch of people from Safeway. Before the show we went to Osha Thai for dinner which was really nice. We sat in the balcony which ended up being great. I never once thought we were sitting too far away or it was too difficult to see what was going on. 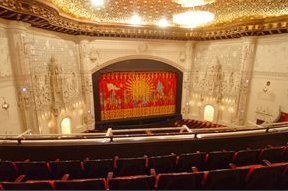 Even though I wasn’t allowed to take pictures in the theatre I was able to go to the Orpheum website and get a virtual view of our seat location which is shown below. The theatre was spectacular, but I am easy to impress being that I don’t go into buildings like that every day. I expected to not like it as I was fully expecting another rendition of The Nutcracker (sorry hate it) but was pleasantly surprised to find that I actually loved it. It wasn’t boring at all, the singing and dancing was good and most importantly I was engaged which isn’t always easy being that I have the attention span of a two year old sometimes. We got there a few minutes early and talked to the usher for a few minutes about the show. She told us Elphaba (the Wicked Witch of the West) was being played by Vicki Noon who is an understudy but was better than the person who normally plays her so as she put it: “we were in for a treat”. Elphaba (Vicki Noon) rocked it, I loved her singing. The show was funny in parts, the costumes were great, the stage was all decked out (awesome dragon hanging above it), the acting was great, the sound was awesome, and if you ever get the chance you have to see it. Who would have thought I would ever say that!